Lash it Up - the Easy way! I can't say enough about these! I am sure you know if you have had fake eye lashes, we love them right! Until you take them off and have no eyelashes left!! These are the best of both worlds! 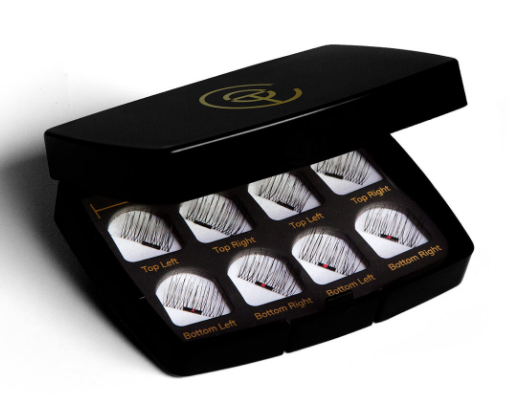 You get to have the lush lash when you want them without the daily maintance of permanent lashes! These are a touch hard to put on, so a bit of high maintance but hey, you probably are if you like false eye lashes like me! With a few tries you get use to the quick magnetic way you apply them! Then you are so thrilled you have them! You are welcome! We tried both the normal size and the bigger ones and loved both!! For sure for everyday, go with the normal ones - you will wear these more!